House & Wilson - All In. . HD Wallpaper and background images in the हाउस एम.डी club tagged: house md livejournal hugh laurie house robert sean leonard wilson hilson season 2 2x17 all in. चित्र of Lisa E and her family on Cuddy's desk! It's from season 2 episode 17 "All In". Very good! 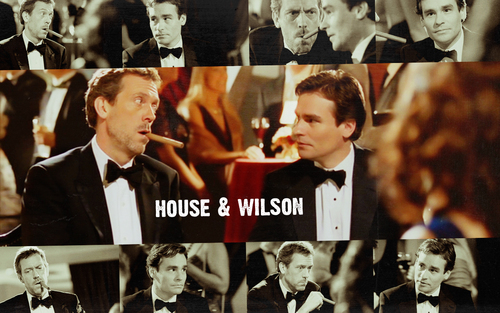 Hilson friendship's picture cute!